The tent is one of the most important pieces of camping gear you could have. A good tent will allow you to enjoy the wilderness in relative comfort while protecting you from harsh outdoor conditions. You'll need to consider a number of factors when purchasing a new tent including size, level of protection and ease-of-assembly. To make your decision easier, we have Wise Bread's list of the top five tents. A tent is a shelter that is made up of fabric draped over a frame. When it comes to buying a new tent, you'll want to know how many people you'll be sharing it with. Camping enthusiasts generally suggest that people buy a tent rated for two more people than you plan on sharing with in order to fit additional equipment. You'll also want to look into tents with good venting that can withstand water and wind and that can be relatively easily put together. 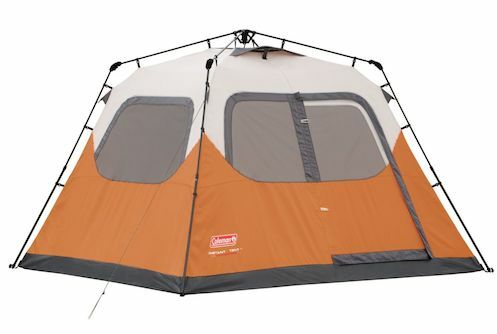 The spacious Coleman 6-Person Instant tent includes Coleman's WeatherTec System. Its combination of features such as protected seams and a waterproof floor helps protect users from the elements. Reviewers recommend purchasing a separate rainfly however to truly stop water leakage. The most important feature of this tent is its ability to be set-up extremely quickly, which gets extremely high marks. 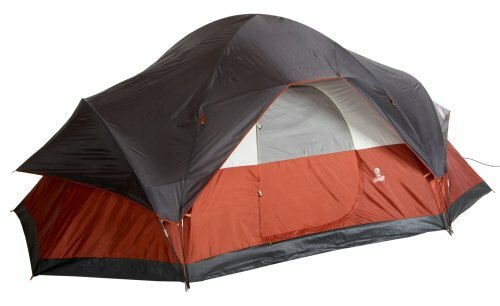 The Mountainsmith Morrison 2-Person tent is well-reviewed by users. In particular, reviewers appreciated its size, claiming that people well over 6 feet tall could sleep comfortably. It is also remarkably easy to set-up, with color coding and included instructions. Finally, users are impressed at how well it protects against rain. People that have used this tent universally agree that its value is nearly unbeatable. The Kodiak Canvas Flex-Bow tent is perfect for those that are looking for a tent that can withstand tough weather conditions. Camping enthusiasts consider this among the best in a series of tents that are colloquially referred to as "bomb-proof." The key to its nature-withstanding success is the tough canvas material that the tent is made up of. Unfortunately, this also makes the tent extremely heavy, weighing in at 70 lbs. However, Kodiak's Flex-Bow system also makes this tent easy enough for one person to assemble, something to which many reviewers can attest. If you're looking for a comfortable and spacious camping tent, then the Coleman Red Canyon 8-Person tent is the one for you. 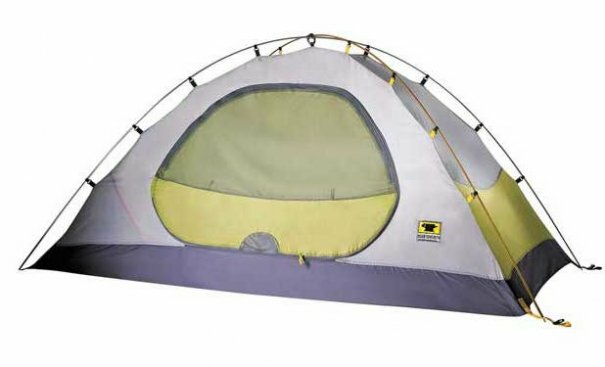 This dome tent by Coleman measures 17 by 10 feet and reaches 6 feet high in the center. It also comes with removable walls to form up to 3 rooms. Users report that while this isn't exactly a 4-season tent, it handles rain exceptionally well and is also relatively easy to set up. 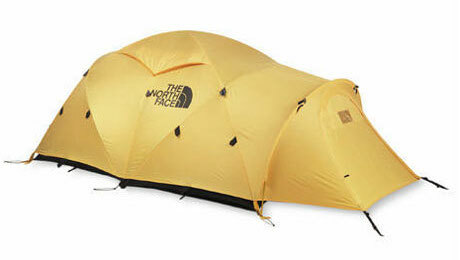 The North Face Mountain 25 tent is highly regarded as one of the most durable, backpacking-friendly tents available. Considered "bomb-proof" by many reviewers, this North Face tent is a 4-season tent that can handle some of the harshest weather conditions in the world. It's been attested that this tent can withstand winds of over 60 miles per hour and torrential downpours. The biggest complaint is that it weighs in at 9 lbs., heavy for a backpacking tent. But most will gladly trade the extra weight for its durability. And those are our recommendations for the best tents. As always, be sure to check out the Wise Bread Buying Calendar to learn when and how to buy just about anything! This list is more like 5 random tents on amazon with good reviews that we can make money linking too. Only 1 real tent listed here. Not sure what the flex bow is for, but the rest are backyard camping tents. 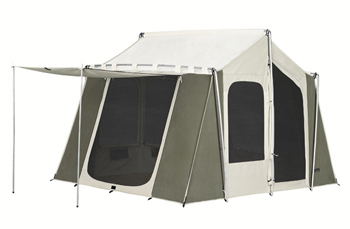 The photo for the Kodiak Flex-Bow Tent is wrong -- pictured is just a generic canvas tent. The flex-bow is the design of the flexing steel rods that keeps the roof under tension. I own the 8 person version of this tent and totally love it. It's definitely heavy, but we've weathered thunderstorms in it with no problem and we didn't have to worry that it might collapse! As someone who's 6'3" tall, I also really like being able to stand up inside. I would check out some of the light weight tents as well. If you want to hike, then that is really important!